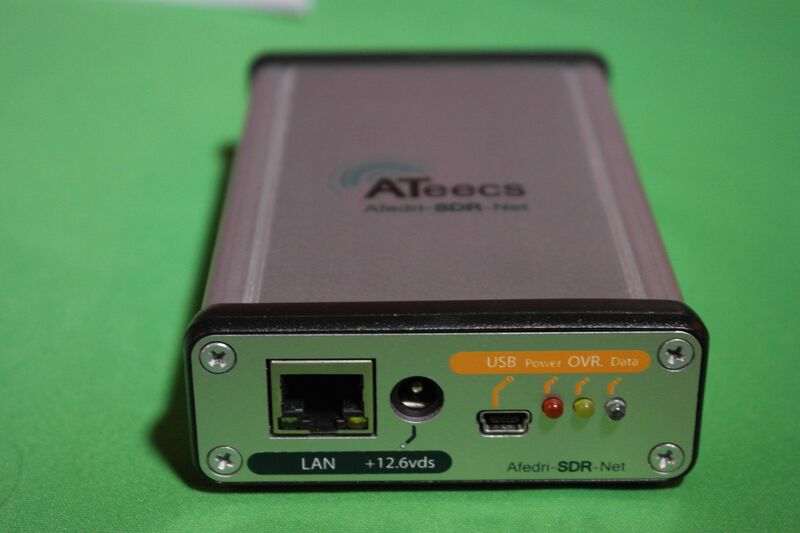 When you take into consideration that the Afedri SDR-Nets’ nearest competition is the RFSPACE NetSDR at a retail price of $1449, is is hard not to be impressed by the value the $249 Afedri SDR-Net offers. However, to achieve the low cost of the Afedri SDR-Net a few compromises had to be made. For example, the Afedri Net-SDR uses a 12bit 80MHz ADC versus the 16bit ADC used in the NetSDR. This means that you are giving up some dynamic range and sensitivity versus the RFSPACE NetSDR. Also with the exception of a 30Mhz low pass filter there is no bandpass filter. This could be a problem if you happened to be located in the shadow of a powerful medium wave broadcast station. However, you can certainly add your own bandpass filter or just use the gain controls very judiciously to eliminate any interference. In our location using a modest 20 meter dipole for testing, we noticed no issues with front end overloading. There is no doubt that the more expensive SDR radios have some advantages over the Afedri SDR-Net. The real question though is the $1449 SDR six times better than the $249 Afedri SDR-Net. We seriously doubt it. We didn’t have access to the more expensive radios at the time of this review, but there have some been some very positive comments from owners of both the Afedri and some of the higher priced SDRs that say that the Afedri can “hang with the big boys”. From what we experienced with using the Afedri, we could see where that is very possible. made of extruded aluminum and has a very sturdy and professional feel to it. The case also offers very well done labeling and graphics clearly showing what each connector and led indicator is for. The circuit board of the Afedri SDR-Net itself appeared to be of very high quality and construction. The Afedri Net-SDR is a very compact radio measuring approximately 4.2″ deep x 3.07″ wide x 1.06″ high. Very easy to place anywhere. The back panel sports a SMA connector for your antenna. The front panel features a USB port, Lan port, external power supply connection, and three bright multi-colored status leds. The bottom of the case features anti-slip feet to keep the small radio from sliding around. Again, the case is very well done and not typical of the lower quality you would expect from a SDR radio in this price range. Alex checks each Afedri SDR-Net for proper operation before he ships it. For example, the test sample we received was right on frequency. No fiddling with offsets in the software to correct it, which we can’t say that about some of the other inexpensive SDRs we have used in the past. True, but we felt the nearest competitor was the NetSDR because it was one of the few SDRs that has an IP interface. Very nice review and based upon it I’ll probably get an order in for the radio. Why is it manufacturers still keep putting connectors on the front of these SDR boxes. On an average users desk , all those connectors would be best placed at the rear,, with indicator lights on the front ?? Also I would like to see a power on /off rather switch as opposed to an always on when connected to USB? 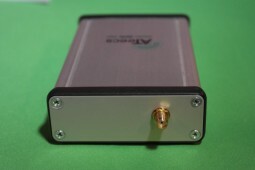 I bought a AFERDI SDR about 2 months ago and I have to say its one of the best under $300 SDR receivers you can get. For the price you get a very capable receiver that works well. I prefer using HDSDR as the software to control it. It receives everything my Icom R75 / TenTec RX-320D receives. If you have any questions feel free to contact me. can this product be used with an indoor antennaa or is that just a waste of time? Yes, it is no different from any other radio. The better the indoor antenna the better it will work! I don’t know the internals of this SDR being reviewed (so I may be wrong), but a direct-conversion quadrature synchronous detector (DC-QSD, alternatively known as a Tayloe detector) without an active front-end and/or some form of matching has both gain and bandwidth that is rather strongly dependent on the antenna match. In my experience (Softrocks), this is rather unlike a “regular” receiver. I suggest you read Gerald Youngblood’s four-part QEX articles “A Software Defined Radio for the Masses”, which is free to download from the ARRL Web site (ask Google). Mr. Youngblood explains this in-detail. Can this unit function as a second/sub receiver to radios that have an IF output such as an Elecraft K3, etc.? If so, what is the IF frequency it can use? You can use the net SDR with its different IP address with many routers, you just need to set it up on its own subnet and use routing. If your router supports multiple ports, set up one of the ports as a route to the desired subnet. This is easy to do with a better 3rd party router firmware (one example, openwrt) as well as some OEM router firmware. Each ethernet port should have its own designation, for example eth0, eth1, eth2 Google for specific instructions for your router. Did you ignore the FunCube ProPlus Dongle on purpose of because it doesn’t come with LED’s and a metal box? It already covers way more spectrum than this receiver (from 150kHz thru 1200Meg) and it’s the size of a flash drive. The AfedriSDR Net v.3 has a sample rate up to 2000 kHz, the FCPPD is cool too but currently only goes to 192 kHz, granted it’s range is greater. I think the main point here though is the NET (ethernet) capability and though not mentioned directly, is the AFEDRI’s ability to be operated remotely. A very nice Mac and Windows program called SDRDx also supports the Afedri SDR. Looks nice and sounds good too. the SDR software on the Alinco. Much larger spectrum display. The DJX11 has very narrow bandwidth and is not quite as sensitive on HF. However, the DJX11 does pretty well seeing how it also includes VHF. If you don’t want to cry while doing your hobby this SDR is the right choice. 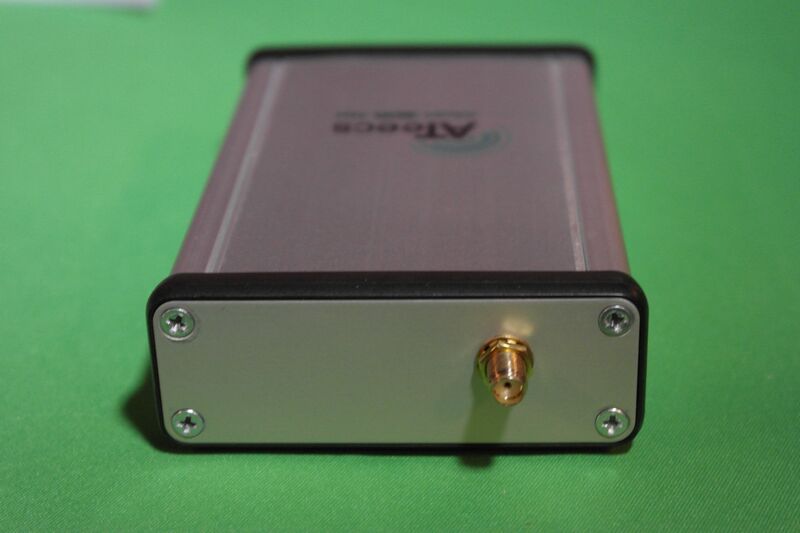 If you have 1000 Euro + to spend I would recommend something more solid to play with and not an SDR like Perseus etc. Supposing that a person had a €1000+ to spend. What would you consider to be more solid as a device? I’m guessing it would be a device that needed an RF front end adding to it? Nice to see an IP radio so low cost. I may have to look at getting one to play networking? Anyone know what the minimum specification of the PC need to run this SDR please. so this is only for hf ? How do you change its IP settings? have a look at AFEDRI v3.0 There are some improvements and promises better result. Alex 4Z5LV is a great electronic designer.